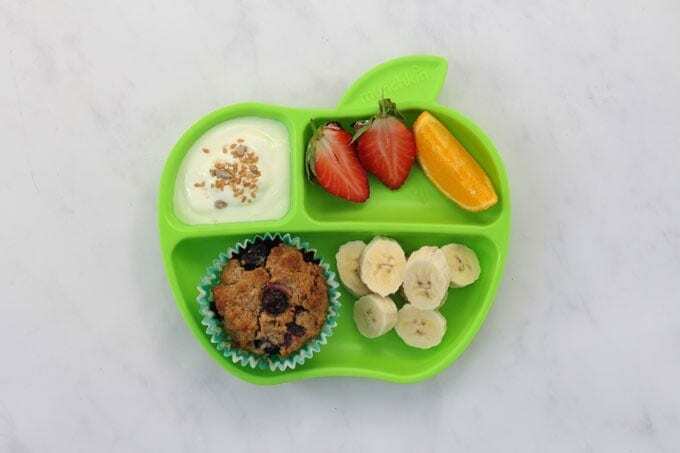 Do your kids ever go through phases of absolutely loving then completely despising certain foods? Yep mine too! The latest one is Weetabix. For a few months both my kids were eating it like it was going out of fashion. But now they’re turning their noses up at it…. food overload I think! In an effort to use up some of the boxes of Weetabix that we still have, I decided to try to make some muffins. 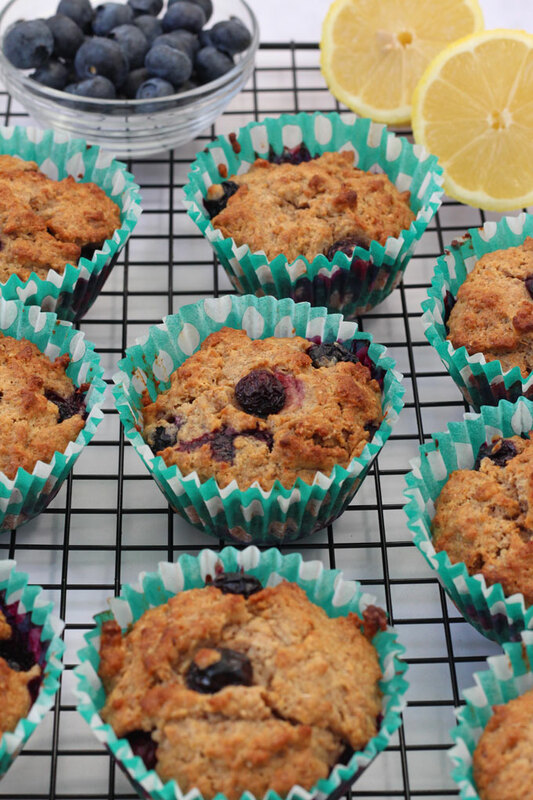 A quick google search came up with these Banana Weetabix Muffins from Elizabeth’s Kitchen Diary. Inspired by this recipe I decided to try something similar with ingredients that I already had at home. 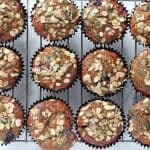 Muffins are always a great option for breakfast as you can make them in advance and either keep for a couple of days in the fridge or freeze for longer. On busy mid-week days, simply defrost in the fridge overnight and either eat cold or warm a little in the microwave. 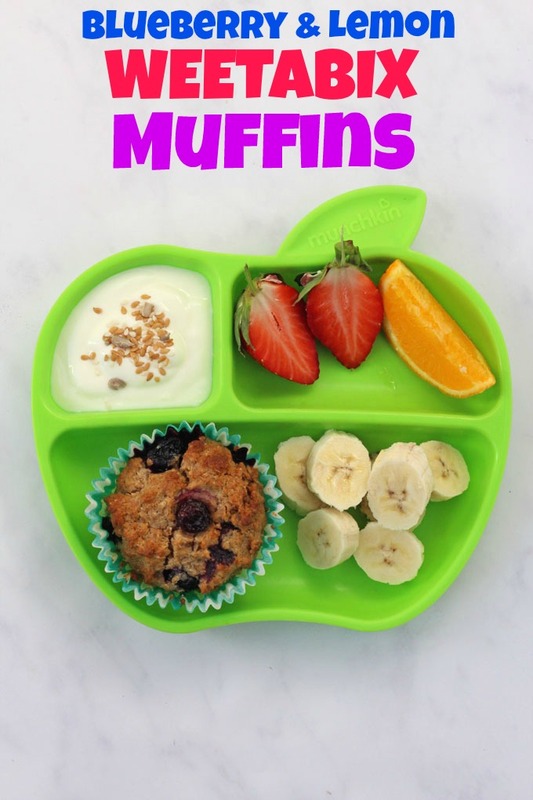 Muffins are also a great option for teenagers who rush out the door in the morning without breakfast. Put a couple of these in their bag and you know they’ve at least had a filling and healthy breakfast. 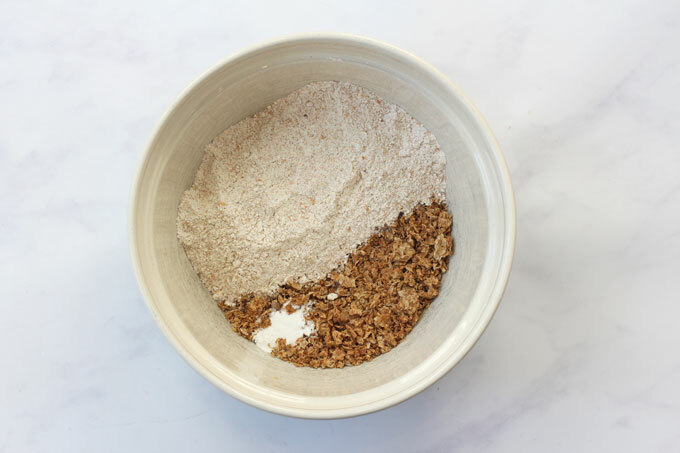 The Weetabix is crushed by hand into a large bowl and mixed with the flour and baking powder. The coconut oil is then melted in a large jug and to that you add the egg, milk and honey. 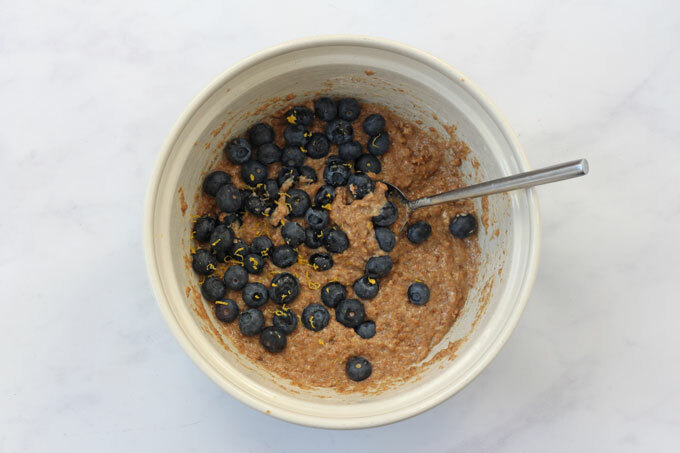 Add the wet ingredients to the dry ingredients and then stir in the blueberries and lemon zest. 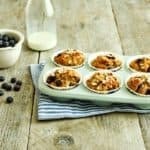 The muffins are baked in the oven for just over 20 minutes and are then ready to eat straight away or cooled and stored in the fridge or freezer. 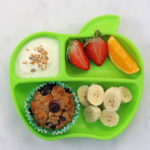 For breakfast I serve these muffins with a portion of yogurt (this one is plain yogurt topped with some seeds) and a selection of fresh fruit. 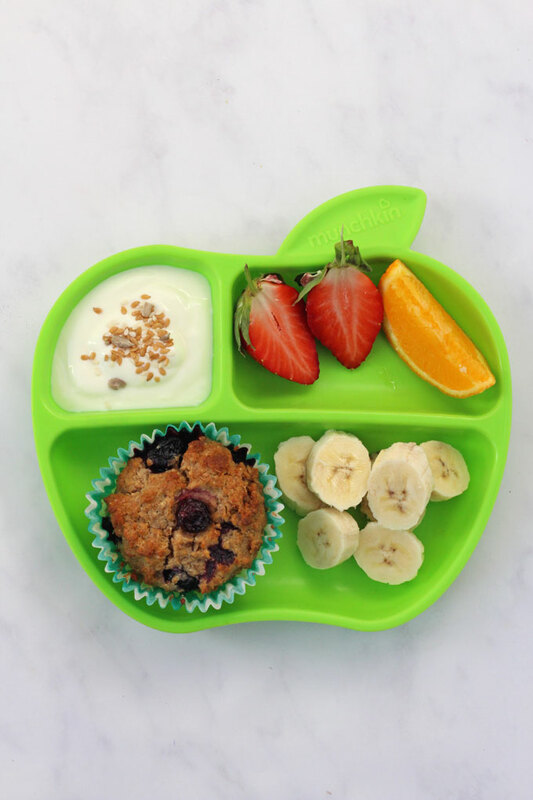 Weetabix is fortified with iron so think about adding a source of Vitamin C to your child’s breakfast as that will aid it’s absorption. 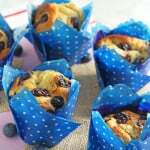 Flour – The wholemeal flour can be substituted for plain flour and any type of gluten free flour too. 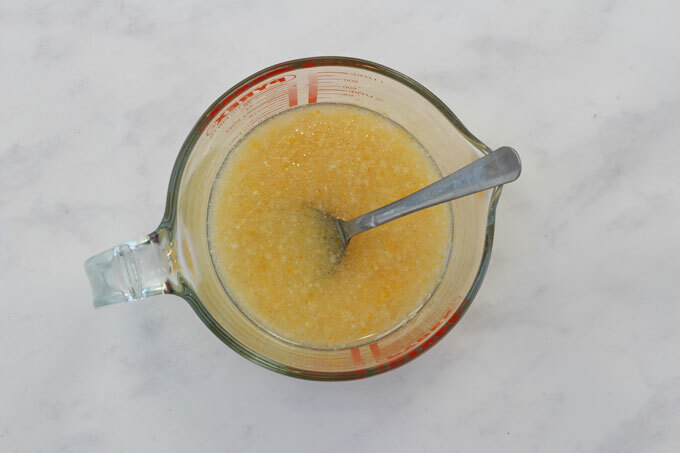 Coconut Oil – This can be substituted for butter. Milk – Any non-dairy milk will work fine. 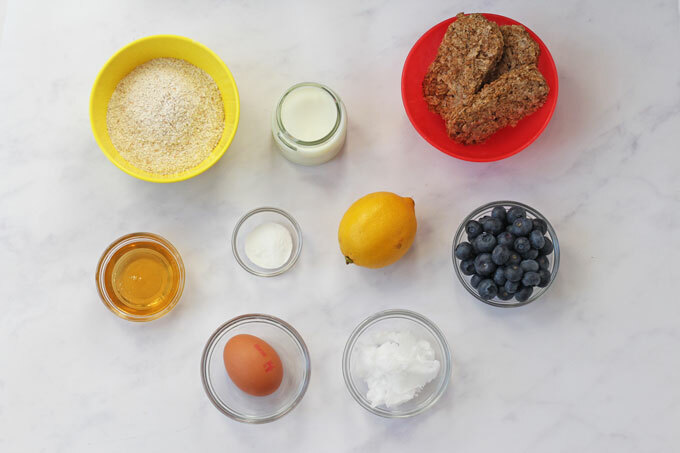 Egg – I haven’t tried using an egg replacer in this recipe so can’t say that it would definitely work. However if you try it please do let me know. 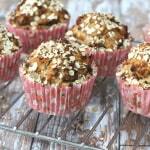 If you try my Weetabix Muffins recipe please do leave me a comment and a star rating below. You can also share your pictures with me on on Instagram. I always love to see your creations!